Twin and Triplet orders are charged as a single item delivery. See our T&C's for return policy. 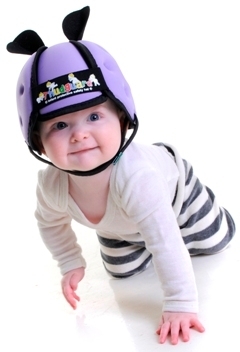 ½ inch thick impact tested protective foam hat is designed to help absorb and reduce the impact of falls from a child's own height and may lessen the chance of head injury when infants are learning to walk. 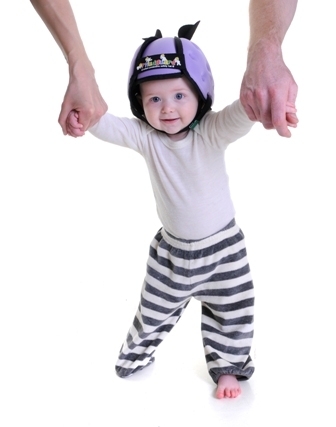 Comfortable (stretchy), circumference band allows for growth and ventilation. Adjustable soft (stretchy), elastic chinstrap. 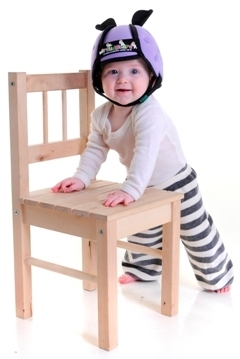 Help to promote early cycle helmet wearing habits. Ideal head cushion - for the sitting up / crawling / pulling up against furniture / first steps / walking and playing outdoor stages. 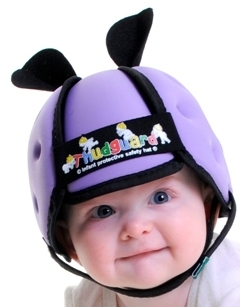 Also protect those little noggins against icy slips and tumbles in the snow. 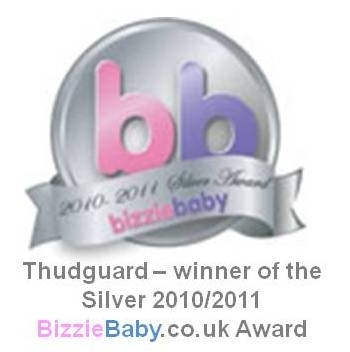 Thudguard® now has extra added ventilation!